The new car invoice price and true dealer cost is not the same. Dealer cost is lower. Knowing the true dealer cost gives you needed leverage when it comes time to negotiate a great price at the dealer. CarClearanceDeals, MotorTrend, Edmunds, and CarsDirect. MSRP, Invoice Price, Destination, Holdback, Rebates & Incentives, Dealer Cost. Dealer Cost Calculator - True dealer cost is a must know when buying new cars. This will calculate dealer cost of any new car. How to Buy New Cars Below Dealer Invoice Prices - Save Thousands on your next new car. New Car Dealer Cost- A complete explanation of what it is and why you need to know the true dealer cost. It pays to be educated when buying a car. Before you dig into doing any serious research, you should familiarize yourself with some of the most common car pricing terms. Without understand what they mean, you'll have a tough time clicking your way to the best information. Definitions for a few of the best ones are highlighted below. MSRP refers to manufacturer's suggested retail price. It is the published amount that a car manufacturer advises dealers to charge. Of course, the MSRP is merely the starting point in negotiations at the dealership. In fact, many people disregard MSRP altogether while negotiating. The MSRP, or sticker price, is typically listed on the spec sheet that's affixed to a new car. In some instances, it's not listed at all. Dealers sometimes omit the MSRP when a car is especially in demand. By not advertising the MSRP, the dealer may be able to start negotiations at a higher amount. It should be noted that MSRP does not reflect the "out the door" amount that you should expect to pay. It doesn't include registration, taxes, destination charges or other fees. Although MSRPs are ostensibly used to protect consumers, they are just the tip of the iceberg when it comes to getting a great price on a vehicle. Dealer Holdback - Dealer holdback reflects a percentage of the MSRP or invoice price that is paid back to a dealer by the manufacturer. Manufacturers usually pay this withheld amount back quarterly, but practices do vary. Holdbacks came into widespread use a few years ago. They are used to improve dealer profits by inflating invoice prices. They primarily do that by reducing the gross profit of a sale. In turn, the salesperson who was involved in the transaction earns a lower commission. Another reason that dealer holdbacks, which are usually about two to three percent of the MSRP, are so popular is because they allow dealers to offer special deals while still earning handsome profits. Dealers can legitimately say they are offering vehicles at invoice prices but recoup hundreds of dollars later. While it's beneficial to be aware of dealer holdbacks, you probably won't have much luck using them during your negotiations. It's smart to know they exist, but dealers hold tightly to them. You can use them in a roundabout way to negotiate a lower price. Dealer Incentives - Dealer incentives are often referred to as factory-to-dealer incentives. They reduce the dealer's true cost to buy a vehicle. In some instances, those savings may be passed along to consumers. Dealer incentives are often offered on a regional basis in order to bolster sales for a specific model. Other times, they are used to reward dealers who reach a certain sales target. Dealers are not required to pass these incentives on to consumers. If you can track down specific information about a current dealer incentive that's not being passed on to buyers, it may give you the leverage you need to get a better price. However, because these incentives often vary by region, it isn't always easy to pin them down successfully. It never hurts to keep your eyes peeled though. Regional Ad Fees - In the vast majority of cases, regional ad fees are not negotiable. That's because they are usually itemized on dealer invoices, and they are a firm part of a dealer's cost. They are the way in which manufacturers recoup some of the expense of promoting and marketing specific models. When these fees appear on a dealer invoice, you can bet your bottom dollar that they will be on your sales contract too. In some cases, however, the dealer invoice doesn't include these fees. If it doesn't, but they appear on your sales contract, you may have some wiggle room. It all depends on the specific dealer and on the amount that you are paying. Before you head to the dealership, go online to consult the many lists that outline regional advertising fees by manufacturer. They can help you get a better grasp about how much these fees come into play. Destination Fees - To arrive on dealer lots, new cars have to be transported from automobile manufacturing plants. The expense of doing so is charged to the dealer by the manufacturer, who then passes it along to the consumer. The total amount is usually several hundreds of dollars. As nice as it would be to somehow negotiate away these fees, it simply isn't possible. The amount differs depending on the model and the manufacturer, but it has nothing to do with how far the vehicle had to be transported. Manufacturer Incentives and Rebates - Three of the most popular manufacturer rebates and incentives are designed to be passed along to consumers. Low-interest financing, cash rebates and special leases are all offered from time to time to stimulate sales. Sometimes, they are offered as first-time buyer specials, employee discounts, military discounts and other incentives. These incentives reduce the net price of the vehicle. You can use an online calculator to determine whether a cash rebate, which can be applied as a down payment, or low-interest financing is better. 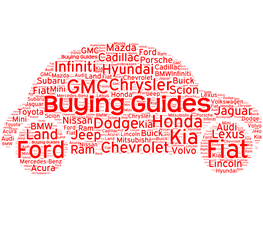 Now that these terms have been demystified, you should have a much easier time conducting research before buying the vehicle that you want. See New Car Dealer Cost and Holdback for more information. Note: The price guides above do not include state taxes, license fees, or manufacturers Rebates. To calculate your on the road price, add you state taxes and License fee - then subtract your manufacturer rebate if any.